Recorded in Webster Hall, NYC February 16, 18 and 19, 1959. Arranged and conducted by Robert Corman. 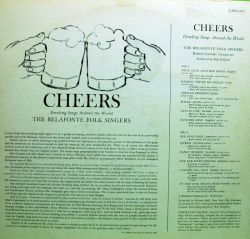 The subject of songs concerning the consumption of alcoholic beverages was considered an appropriate study for folklorists in 1959; as the liner notes state, "Alcohol has been accused of many things. For the record, it is hereby accused of being the happy inspiration for some of the grandest tunes of all times." 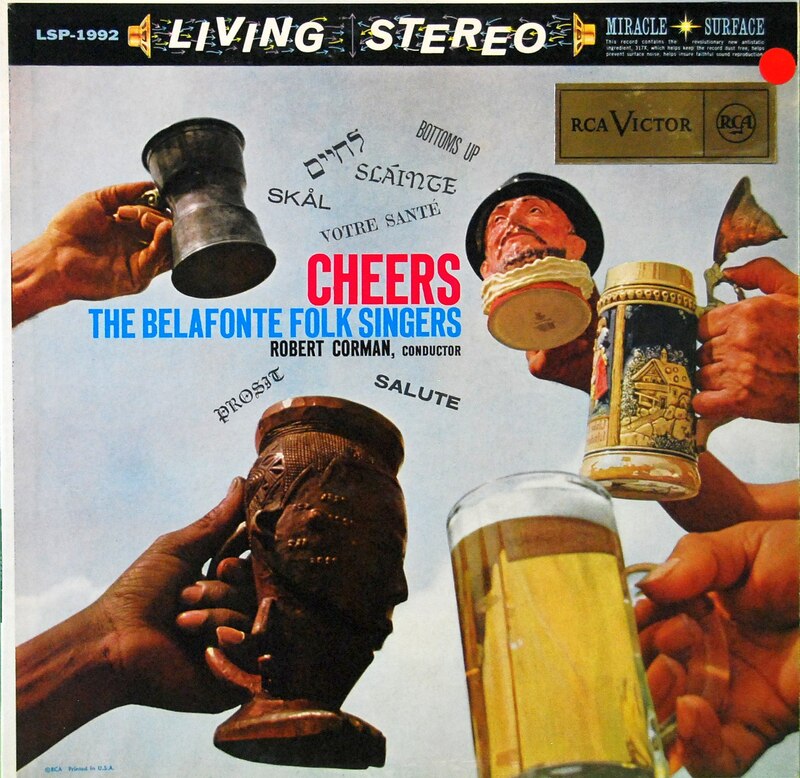 Now called the Belafonte Folk Singers (the "folk" added since their first album in 1958), the choir is joined by future record producer Milt Okun, who sings the solo on the Scottish tune "Nancy Whiskey." 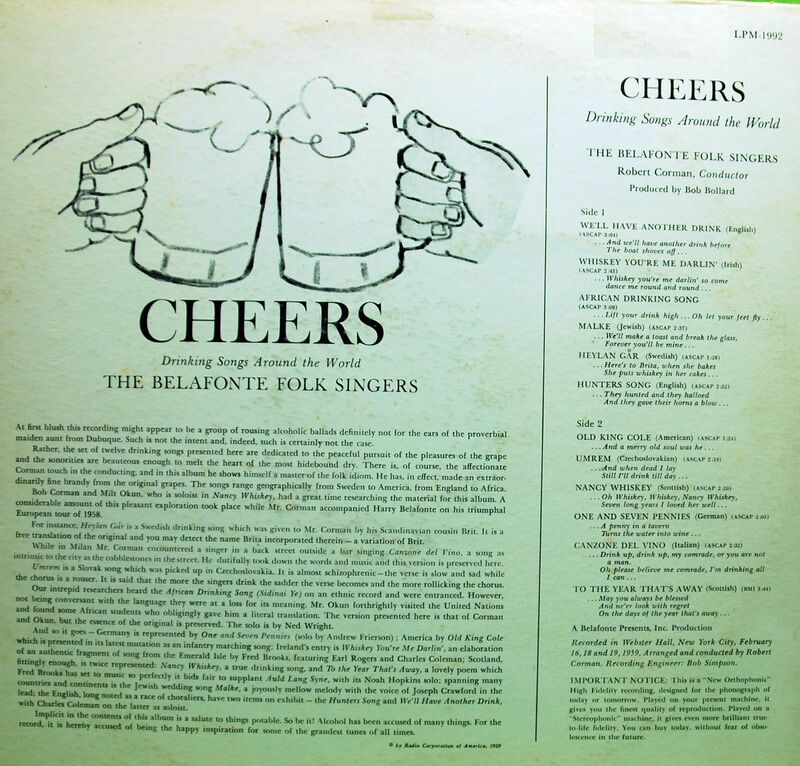 Other songs come from (in the grand Belafonte tradition) a variety of world cultures including Czechoslovakia, Ireland, Sweden, Germay, Israel, and Italy, in addition to the American entry, "Old King Cole." The Folk Singers would accompany Belafonte in the singing of the this number on the successful Belafonte Returns to Carnegie Hall album in 1960.